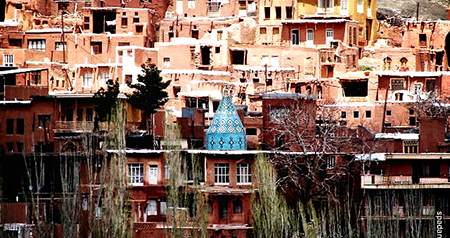 Abyaneh is a historic village in Isfahan province of Iran close to Kahan and Natanz. 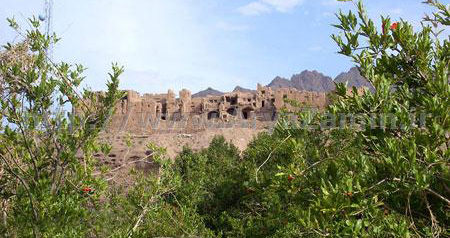 The village is in a long and narrow valley on the foot of Kakas Mountains, 70 kilometers southeast of Kashan. From the main road of Natanz-Kashan, there is a winding road that goes 22km deep in to the mountains, passes several villages, and reaches to a valley with a historic village sitting in it. Houses in Abyaneh have a reddish color that comes from the soil around the village containing iron oxides. Besides the charismatic beauty of the village, there are historic monuments as well. 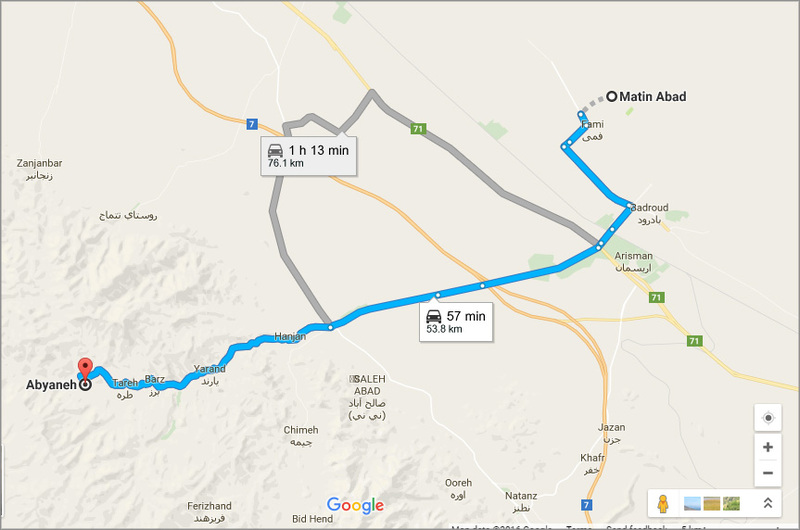 There is a Zoroastrian fire-temple dating back to the Sassanid period, three castles, a pilgrimage site, and two mosques. 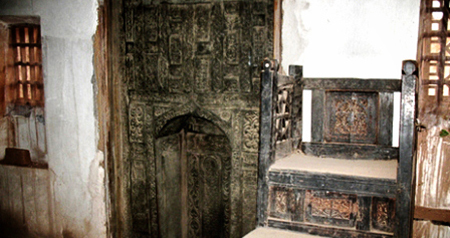 The most famous monument of Abyaneh is an 11th-century Jameh Mosque, with an ancient Mihrab made of walnut-wood covered with carvings of calligraphy and floral designs. 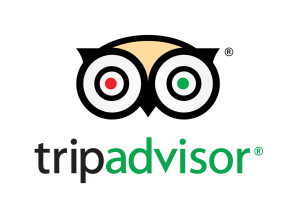 The Jameh Mosque is closed and cannot be visited because of its very long and valuable history.